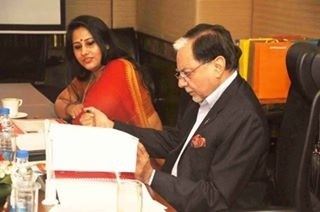 Dr. Subhash Chandra, Chairman, Essel Group & ZEE was a part of the esteemed jury of the Fempowerment Women Achievers' Awards 2014. An initiative by Molecule Communications (Mumbai and New York), the awards were held on August 28, 2014 at the Jamshed Bhabha Theatre, NCPA in Mumbai. The awards celebrated the worth and empowerment of women in India, honoring women across 14 categories including science, entrepreneurship, sports, art, education, corporate and entertainment and Special Recognition to a Man by Women. 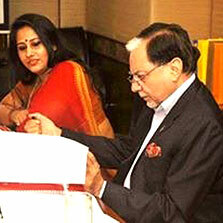 An eminent jury selected the deserving winners in each category based on nominations from all across the nation. Besides our Chairman, other prominent members on the panel included Mr. Ridham Desai, Managing Director, Morgan Stanley India, Mr. Adil Malia, Global President HR, Essar Group of Companies, Mr. Javed Ahmed, Director General of Police (HG , Maharashtra), Mr. Shishir Joshi, CEO, Bombay First, Mr. Shrikant Bhasi, Chairman, Carnival Group, Mr. Nagesh Kukunoor, Film Director, Screenwriter and Actor, Ms. Aroon Shivdasani, President and Executive Director, Indo-American Arts Council and Ms. Neera Saggi, Former President, BCCI (Bombay Chambers of Commerce and Industry). Some of the deserving award winners were Ms. Namita Gokhale, Outstanding Achievement in Literature, Ms. Dipika Pallikal, Outstanding Achievement in Sports, Ms. Deepika Padukone, Outstanding Achievement in Entertainment Creative, Ms. Lina Ashar, Outstanding Achievement in Education, Ms. Lina Tipnis, Outstanding Achievement in Fashion & Design and Ms. Renutai Gavaskar, Outstanding Achievement in Social Contribution. The event also featured stellar performances by singers Mitali Singh, Shruti Pathak and Karan Oberoi and stand-up comedian Sorabh Pant as well as a fashion show by renowned fashion designer Jaya Misra.